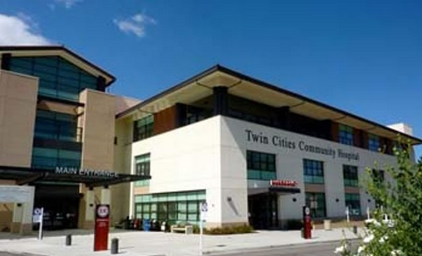 –Mark Hodgson has been appointed Director of Perioperartive Services at Twin Cities Community Hospital. In this capacity he will provide leadership for all inpatient and outpatient surgical services and sterile processing at the 122-bed provider of acute care services in North San Luis Obispo County. Hodgson has served as the interim director at Twin Cities for the past three months. Prior to joining Twin Cities, Hodgson spent six years at Doctors Medical Center Modesto where starting as a staff nurse in the operating room he held progressively more responsible positions. Most recently he was Clinical Operations Coordinator for the operating room and sterile processing, managing surgical services, open heart surgery and sterile processing. He also had a great deal of information technology background while in Modesto, where for three years he oversaw all aspects of the Surgical Services clinical information system. Prior to that the New Zealand native was a staff operating room nurse at North Shore Hospital in Auckland, New Zealand and also is a 13 year veteran working in various Neonatal Intensive Care Units in New Zealand and the United States. Hodgson completed his education at New Zealand Comprehensive Nursing Diploma at Eastern Institute of Technology in Hawke’s Bay, NZ. He also maintains an active membership in the Association of Operating Room Nurses.